Salt Farm | Sea Salt San Diego: Cyber Monday shopping? Check this out! Doing a little online shopping today? Be sure to head over to my shop at saltfarm.etsy.com for perfect foodie and chef gifts, unique hostess gifts, and unexpected stocking stuffers. 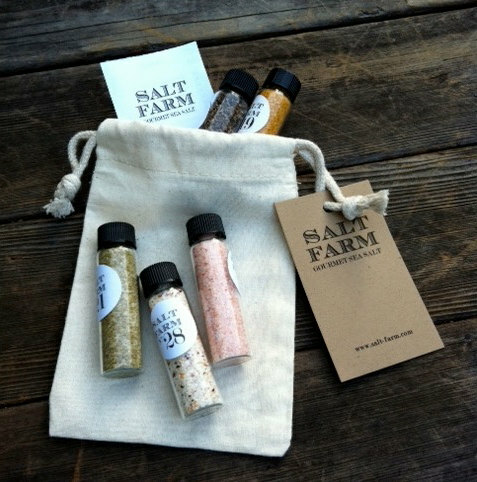 The salt samplers also are great for gift exchanges, Secret Santas, and make great additions to gift baskets.